This is a reprint of a popular guide to Irish antiquities first published in 2005. Its aim is to clarify the terms used to describe the different antiquities shown on the Discovery Series maps and thereby to increase awareness and understanding of Irish field monuments. 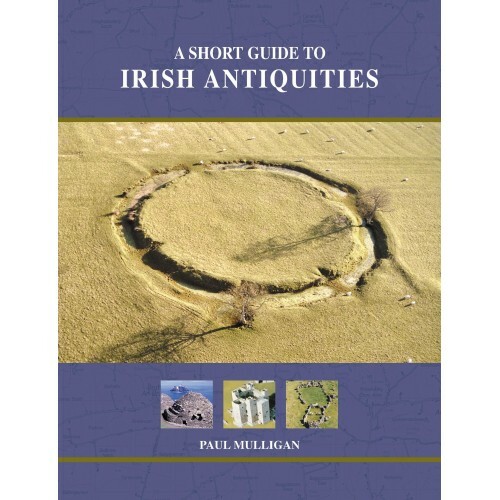 As well as a main illustrated guide, the book will also include an archaeological time chart, a translation of Irish words used to denote antiquities, a glossary and a bibliography. The book is aimed at those with an interest in archaeological field monuments and will be of particular interest to users of local maps such as walkers, schools, tourists and others. The book is illustrated with a sample of the Ordnance Survey maps and about 64 colour photographs illustrating the main monument types described. Publication Data Re-Published June 2016, paperback, 92pp, 66 illustrations.